A Mariachi Mass will be held at 10 a.m. Sunday, June 28 at the Our Lady of Guadalupe Catholic Church with Mariachi Sol Azteca. The Mass will be followed by a Menudo / Posole breakfast in the basement to benefit the Flagstaff Nuestras Raíces Cultural Heritage Fund. 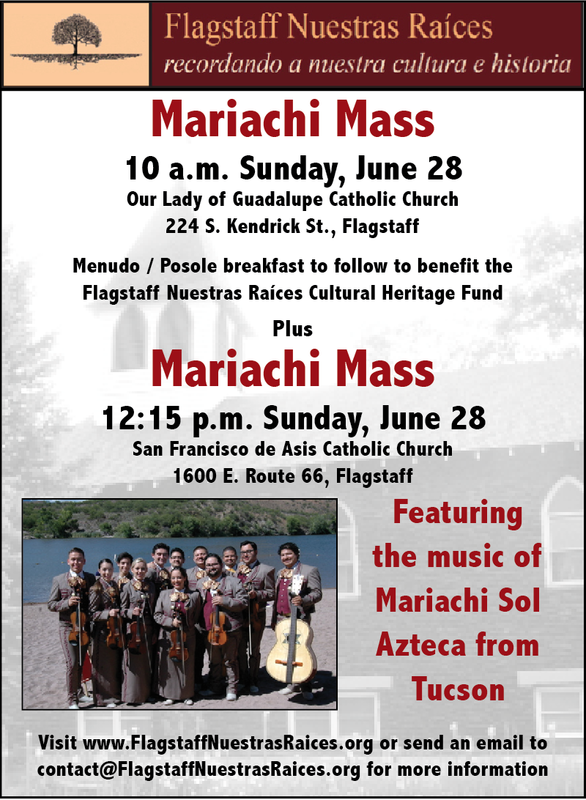 A second Mariachi Mass with Mariachi Sol Azteca at 12:15 p.m. Sunday, June 28 at San Francisco de Asis Church, 1600 East Route 66, Flagstaff. The public is invited to both events. 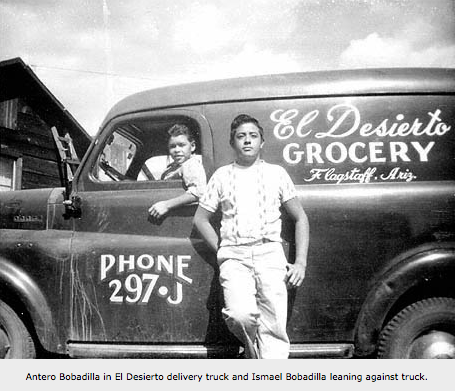 Visit www.flagstaffnuestrasraices.org, http://www.flagstaffnuestrasraices.com or send an email to contact@flagstaffnuestrasraices.org for more information.